Add 8 oz. 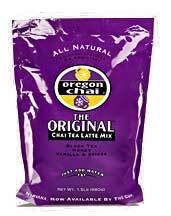 hot water to Chai Tea Latte Mix. For cold chai, add ice. For a creamier experience, add a splash of milk.